Tegan Carpenter is a Sports Lecturer at Bath College, UK, where her research interests have centred on the history of coaching practice and training in the twentieth century. The Routledge Research in Sports Coaching series provides a platform for leading experts and emerging academics in this important discipline to present ground-breaking work on the history, theory, practice and contemporary issues of sports coaching. 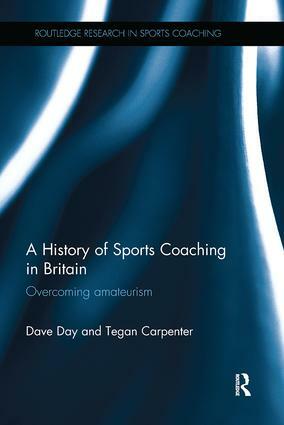 The series sets a new benchmark for research in sports coaching, and offers a valuable contribution to the wider sphere of sports studies.